Green tourism – the hottest up and coming trend in the tourism industry, and for good reason. With climate change, rising energy costs and the threat of water shortages, the UK tourism industry is going to have to change to provide guests with a sustainable stay that gives them more than just a good nights sleep. With the current battle that we face as a nation to reduce our single use plastics, cut our carbon emissions and be proactive with the water we are using, now is the best time as any to show your guests that you’re committed to helping the environment, as well as your role within it. This leads us to our second green tourism spotlight, this time a little bit closer to home in good old Devon! A luxurious place to stay, Yannon is situated in the picturesque town of Teignmouth in glorious South Devon. 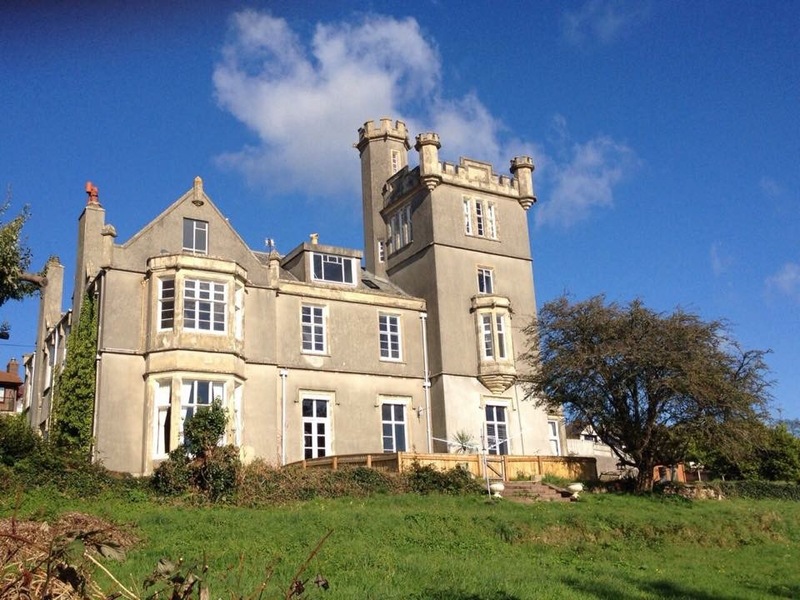 Built in 1851, Yannon towers is rife in history and architectural charm, it has since been split into 3 individual houses and in recent years has been lovingly restored to provide a luxurious and quirky place to stay. It’s certainly the sort of place that wouldn’t be amiss on our big screens! With such a beautiful house to preserve, the owners are just as passionate about preserving and helping the environment around them too. With a sustainable approach to the way that they operate Yannon and with the help of their guests they’re committed to helping cut energy, waste and water consumption in any way that they can. So how are they making their green impact in the tourism industry? All the bulbs fitted throughout the house are low energy, whilst they may not produce the brightest light, they’re quite right that it does add to the effect of being in an old house. As the building is over 150 years old, the house does take longer to warm through, whilst they have central heating installed, they try to encourage guests to reach for the many cosy throws and blankets around the house, and if they are using the heating to shut the doors to keep the warmth in. They also have an open fire that can be used in the winter. Reaching for cosy throws and snuggling up in the stunning living room sounds like the perfect way to Hygge, where do we sign up?! The Yannon bathroom is home to the original (and also very beautiful!) Victorian cast iron roll top bath, it’s the stuff that Instagram dreams are made of. 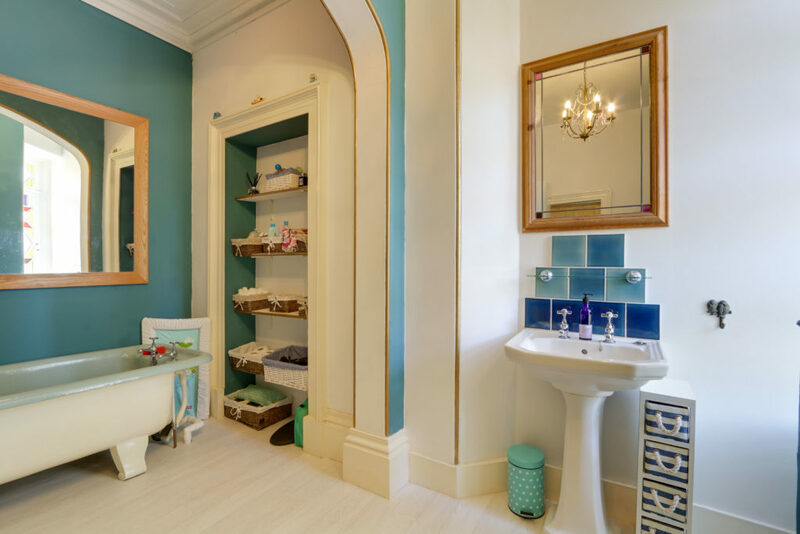 Whilst it provides a luxurious soak for the adults, for such a tiny little guest they’ve recognised that it seems a bit excessive, the Victorians weren’t renown for their water saving ways! 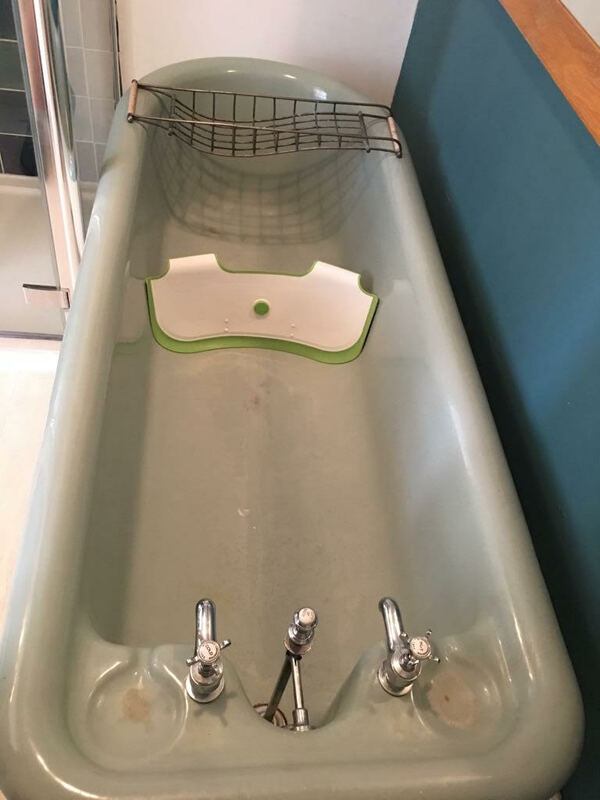 To help with the little guests and water saving they provide a BabyDam so the little ones can still have a bath each night without wasting litres of unnecessary water. We believe Yannon are the first UK accommodation to provide this for their guests, and with green tourism and water saving very much on the minds of people across the UK at the moment, we’re sure it won’t be long until people follow suit. After all, who wants to carry a hefty baby bath for a weekend away?! They also provide all the little essentials that you may need on your trip, including a changing mat for baby – they’ve pretty much thought of everything that a family doesn’t want to carry on a weekend or week away! That bath though, seriously. As you can see, there are massive savings in water to be had in this bath when BabyDam is positioned at the half way point of the bath. As the bath is so large it could be positioned to create an even smaller area in the bath to save even more water. 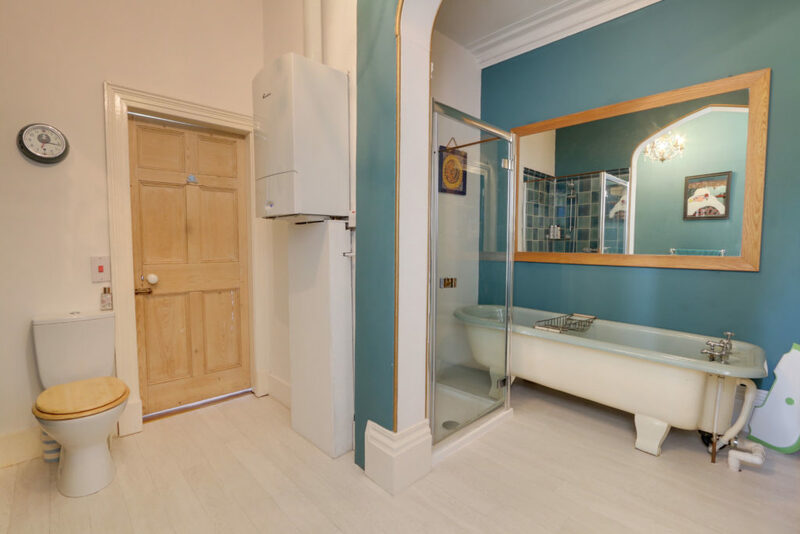 As well as helping the smaller guests to save water, they also have dual flush loos which dramatically reduce the amount of water used, with a shower that has a 9.5kw with a water flow installed in it. Teignmouth also offers great transport links, with a train station only 5 minutes away from the house so you don’t need to travel with a car. There’s also regular buses and a train so it’s easy to get around and to explore when you’re there. Of course, the greenest way to travel is walking, and there is plenty of opportunity to walk and take in the scenery in Teignmouth. Does this not sound like the dream place to stay and explore? With everything covered, it provides the perfect place to stay for Weddings, Christmas, family gatherings or even a special weekend away. Thank you Yannon for providing guests with a greener place to stay, and if you’re interesting in staying the night you can book with them either on their website or Airbnb! Are you a hotel or guest house in the UK and want to follow in suit of Yannon? If you’re interested in providing BabyDam’s to your guests then do get in touch, we’d love to hear from you! Keep up to date with the latest news from BabyDam over on our Facebook page or Twitter!